Boris Continuum Complete 6 $995.00. I was pondering for a very long time how to start writing a review of Boris Continuum Complete 6. As someone who is very much into Motion Graphic, and as someone who uses Apple Motion 4 as a tool, I have to say that I was very much impressed with the latest incarnation of Boris Continuum 6 for Apple Motion, and Final Cut. I suppose you people want to know why?. Before I answer this question I would like to say few things so that you will understand just exactly why I was so impressed with it. 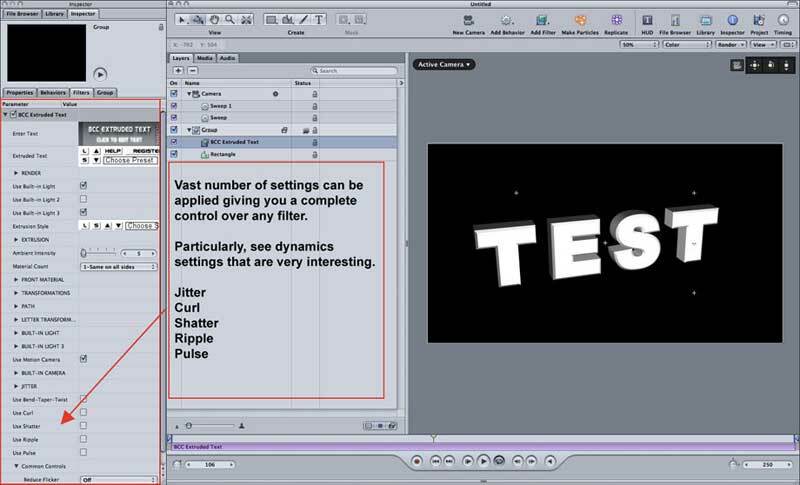 There is no question I am interested in Motion Graphics, there is no question that I am, yes I admit it, a geek, I love reading about third party plug-ins. More that this, I am very interested in finding out how many of those released plug-ins have been finally ported to Apple Motion, as they do really increase our productivity and extend greatly our creativity within the given program. I am pleased to say that the answer to how many third party plug-ins have been ported for Apple Motion have increased ten fold in the last year or so. The reason for this is simple, all of those companies have realised that Apple Motion has come of age and it is considered now to be a major player on the Motion Graphics scene. After downloading and installing BCC 6 plug-ins I started Apple Motion and immediately proceeded to apply one of the 3D filters, this was simply because it seemed to come first in a stacking order of filters under the filter menu. 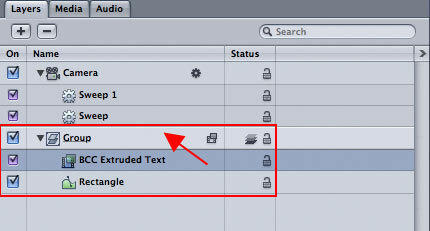 What immediately became apparent about Boris Continuum 6 was the fact that you had the ability to create 3D text from within Apple Motion (See image 01 3d Text) without the need to use external program or interface, more impressively was that you could create 3D objects based on imported EPS (See image 02 Imported EPS File Apple Motion Camera used). Example of imported EPS (Illustrator). 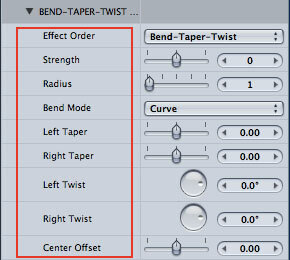 We all know how difficult it has been to create true 3D within Apple Motion. For those who have been with me on http://embryo.me.uk and followed what I was doing in the last year and a half, you understand just how much effort I made to bring you effects that are revolving around 3d text and objects by trickery. It seems that Boris people really saw this as a challenge and as a gap in the market to create what seems to be a most extensive set of plug-ins. Just the fact that you can very easily build 3D objects and text inside Apple Motion was good enough for me. 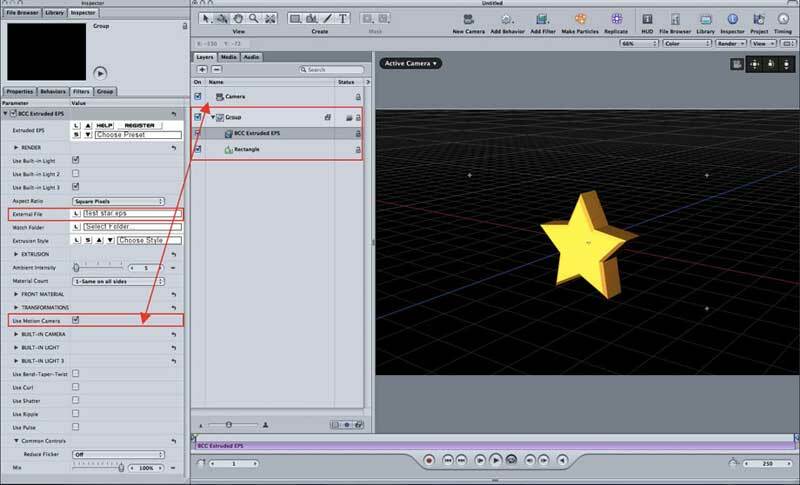 However the magic did not stop there, when I looked at the different setting and parameters for each of the BCC 3D Objects I was stunned to see a truly vast numbers of settings that can be key-framed and animated within the realm of Apple Motion. 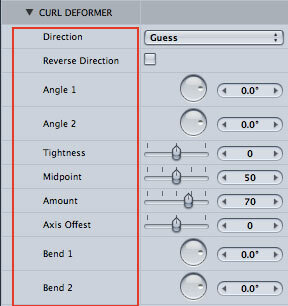 In total, Boris Continuum 6 has around 200 filters and effects that can be used to improve your work-flow. 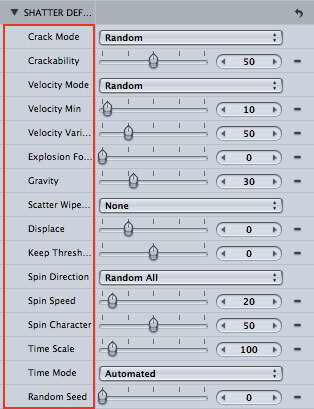 This amazing set of filters and effects even has a very long list of Generators that can be used for all kinds of tasks. 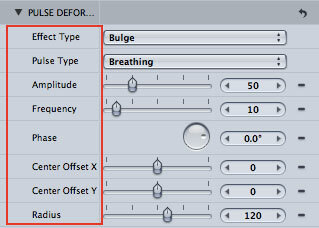 To that list I am proudly adding a set of Distortion filters that you will find you cannot live without any more. In the set of filters of BCC Open GL there is a 3D Extruded Image Shutter filter, we all know that this was a filter that Apple did not include even in the Apple Motion 4. This is one of those filters that is very useful and generally we all wanted to have. I have honestly spent almost two weeks not making anything substantial. However I have spent two wonderful weeks by just exploring a wide variety of different filters within BCC 6. I did have a sketchbook and a pen and while I explored I was recording in my sketchbook, concepts and ideas that are now very possible to achieve solely within Apple Motion and thanks to BCC6 flexibility and a amazing array of effects and filters. In conclusion I did not even touch nor I have written anything about a BCC Colour and Blurs filters, BCC Effects, BCC Key and Matts, BCC Lights, BCC Time, BCC Wipe Transition, BCS 3D Filters, and so on, as this would have taken a very long time. 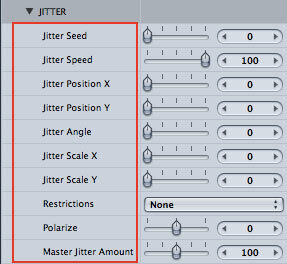 All filters have built in help that will enable you to better understand what does chosen filter or effect does. New Filters in Continuum Complete 6 FxPlug. 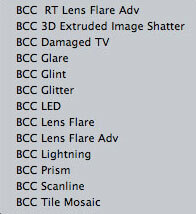 Just some of the BCC 6 filters. Boris seemed to be on their toes when it comes to making sure all filters are seamlessly working with Snow Leopard as the update came only few days after Snow Leopard official Release. This to me was a proof that it is a company who genially care about their Mac customers. Well, I think I wrote quite a lot of nice things about Boris Continuum 6 for Apple Motion and Final Cut. I also want to be critical as it is an integral part of any review. The price of the whole bundle is not for everybody's budget as it costs $ 995.00. 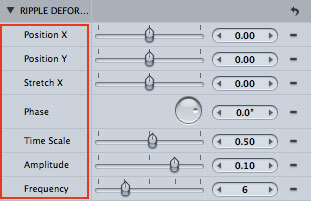 I think Boris people recognised this and because of it they have broken the bundle into parts reducing the price substantially, this in turn made this set of filters and effects affordable. I have also found that 3D filters did not accept Apple Motion lights, rather you have to use 3 different lights built in into the plug-in. This was not necessarily a problem as the build-in lights have a vast numbers of settings that can be used, they can be position into X, Y, and more importantly into Z space. This is merely my own personal preference that I can live without. And in the end I encourage you not be believe me anything I have written, I encourage you to visit Boris website and download the trial version of the software, simply install it, play with it, then come back and tell me how you feel about it. In my opinion, you lovely people from Boris should be very proud of what you have achieved. Zvezdan Zak Peric works as a graphic designer, special effects artist, editor, trainer, lecturer and course director. He is Apple Certified End User Pro and Apple Certified Trainer for Apple Motion 3. 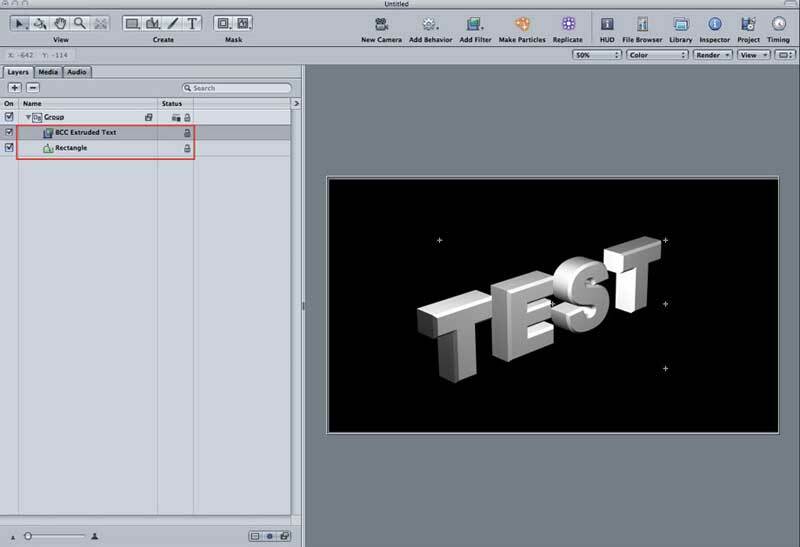 He teaches a wide variety of industry standard software such as Adobe Photoshop, Adobe Illustrator, Adobe InDesign, Adobe Acrobat Professional, Final Cut Studio 2 Pro Apps and Autodesk Maya. He also runs a successful blog at http://www.embryo.me.uk, which offers the opportunity for collaboration and communication amongst visitors and artists interested in illustration, animation, special effects and motion graphics. He is also employed by Tower Hamlets College and London College of Communication (London University of Arts) were he teaches a broad range of software skills. He is currently affiliated to Zaxwerks, Noise Industries and Motype.